Horus Capital is a private equity fund management platform, which is based in China, facing the world and investing in the cultivation of great enterprises. It directly manages and participates in the management of funds with a scale of over 10 billion yuan as the most dynamic and leading professional equity investment fund management institution in China, among which many funds have been approved by the National Guide Fund. Horus Capital is deeply cultivating the most promising emerging industries, with value investment as the sole concept, and optimizing the selection of optional projects. At present, it has invested in nearly 100 companies, and has achieved excellent fund performance and established a fund brand. Horus Capital has grown into a first-class domestic fund with a forward-looking judgment on the industry and excellent investment performance. At the same time, Horus Capital has also invested in the potential high-quality projects of Blockchain, and the RRChain project is one of them. Horus Capital conducts in-depth evaluation of the RRChain project for investors’ reference, which is based on governance, economy, team, business model, Technology, and Community. The RRC project has been committed to building a decentralized global computing trading platform that makes the most use of the unused computing power of personal computers. The RRC project is committed to building a decentralized global computing trading platform. The management team is mainly from well-known enterprises such as Alibaba and Founder. It has certain development experience in blockchain and software. At the same time, it has good operational capabilities. The project intends to establish a decentralized global computing trading platform, which is expected to provide cost-effective computing resources for cloud computing demanders. It uses the user’s idle resources to create value. The public chain ecosystem based on the POW mechanism will maintain a stable computing power network, which will make it possible to provide a more cost-effective solution for the computing demanders. Compared with the traditional cloud computing service, RRC is simple and easy to use. It reduces the threshold and usage of cloud computing services, which is propitious to popularize cloud computing. At the same time, the imagination space of the RRC-built computing transaction scene is also very large with the potential of the cloud computing market and strong computing power. Because it can provide a stable, low-cost computing power, and has a greater possibility of landing. 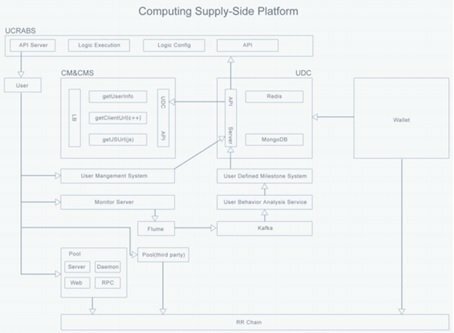 The future “global computer” RRC will build a distributed computing network with autonomous public chain by making full use of distributed technology, which is expected to make it become the world’s largest distributed supercomputing network and computing power supermarket. The project has received numerous institutional investments currently, and the founder of FBS capital Shen Bo participated in the project as a consultant and investor. 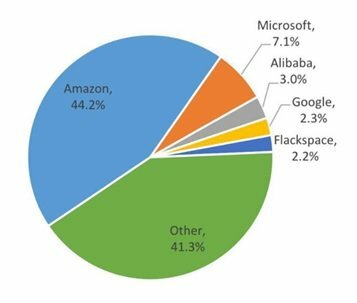 The current global computing market is monopolized by giants such as Amazon, Google, Microsoft, and Baidu, Alibaba, Tencent (normally referred as “BAT” in China). 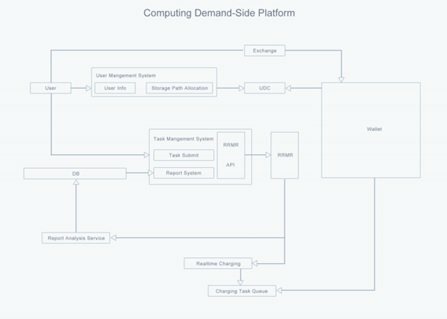 Subject to closed networks, external payment systems, and rigid operating models, now the computing market is an extremely centralized market. Those giants use their market advantages to enjoy high profits, which in turn leads to high prices for computing services. On the other hand, the global cloud computing market continues to grow under the influence of technology and price. According to Gartner, the cloud computing market, including IaaS, PaaS, SaaS, process services, and advertising marketing, was $219.6 billion in 2016. By 2020,the overall size is expected to reach $411.4 billion with a compound growth rate of 17% from 2016 to 2020. It has broad market prospects. Under this background, if we can build a low-threshold computing power collection and distribution network to collect the computing power that Internet users waste, and use blockchain technologies to increase its commercial value and liquidity, we can attract a lot of normal netizens to participate our project, while solving the problem of monopoly situation in computing power market and reducing the cost of computing power. Distributed computing is a computational science that uses idle processing power on the Internet to solve large computing problems. It is mainly used to solve interdisciplinary problems that require massive computing resources, such as GIMPS (finding the largest large Maison prime), RC-72 (password cracking) and biopathological research. Compared to a centralized supercomputer, Distributed computing gives people a cheaper and more efficient option. At present, several projects have been attempting to develop blockchain-based distributed computing platforms. Standing out among them are Golem, iExec, SONM and etc. The goal of RRC is to build a decentralized global computing trading platform. Connect the computer, mobile phone and other terminal devices with computing power through the P2P network, so that the application user (Demander) can rent computing power to other users (Supplier) on the network, and the rented computing power can perform some computational tasks for specific needs. Such as the application of big data analysis, artificial intelligence, image processing, game computing and many other aspects. It can make the most use of the unused computing power of personal computers. There are 3 types of characters in RRC ecosystem: Supplier, Demander and Developer. In the early stage of ecological establishment, the Supplier is the focus of its development, which is easy to lay a broad user base and a solid newcomer foundation. Subsequently, the Demander will be introduced into the RRC ecosystem due to price factors and appropriate promotion behavior, resulting in a clustering effect. As the ecosystem gradually matures, developers can gather around the ecosystem and become a central element of the overall ecological sustainability. Establishing public chains and issuing RRTokens to collect idle computing power of global personal terminals (computers, mobile phones) by providing users with easy-to-use mining tools, which allow users to mine through browsers, clients, and etc. and get RRTokens easily. By using RRTokens as leverage to create the consumption circulation environment, different scenes of consumption, such as video sites, news, e-commerce and etc. can be integrated into our economic system, thus facilitating people using RRTokens to consume. Once global distributed computing network is constructed by gathering residual computing power of personal terminals, those power can be used to perform commercial computing tasks, which brings new commercial value to RRNC economic system. In summary, RRC realizes the aggregation of decentralized and fragmented computing power through the distributed computing implementation mechanism, and completed the construction of the closed-loop ecology of the decentralized global computing power trading platform by using the CSSP, the RRchain, the RRMR, and the CDSP. What the CSSP mainly needs to solve in terms of technology is how to scaled and standardized the distributed and fragmented computing power to make it economically valuable. The “aggregation efficiency” and the “grain size” of aggregated computing power are the two core elements of this platform. RRChain uses the unique consensus mechanism of blockchain technology to record the labor and labor income of suppliers. RRTokens will be used as a reward throughout the ecosystem. The RRMR mainly solve the dismantlement of distributed computing tasks and fine management of massive micro-computing node task distribution. 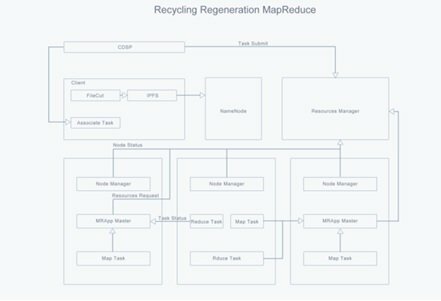 RRMR also adjust the redundancy of task allocation according to the dimensionality characteristics such as area and time to ensure the balance between resource input and timeliness of tasks. The CDSP is mainly to solve the ease use of submission and deployment of computing task, and issues related to the transparency marketization of computing power trading. 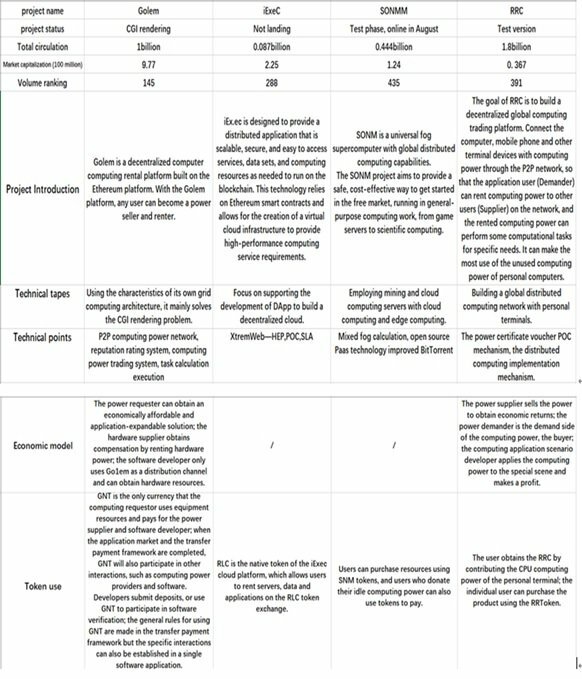 [Evaluation] Although cloud computing power is not a new application field in the blockchain industry, RRC has a unique approach to show the value of decentralized computing power. It complete the ecological integrity by constructing the computing power ecology, circulation ecology, and trading ecology. The ecology has a high degree of expansion and a large imagination. This will help the project to achieve the goal of decentralized global computing trading platform, and solve the problem of transparency and marketization of computing power trading. This will not only effectively reduce the use of cloud computing services, but also help speed up the landing speed and bring positive development to the industry. In contrast, Golem is its main competitor which is similar to the RRC model. Golem uses the first-mover advantage to establish a certain position in the market, which intend to establish a decentralized computing network market based on the Ethereum blockchain, and has strong community consensus and technical strength. However, Golem did not consider the problem of anti-mining machines in the design. A mining machine may affect the income of hundreds of ordinary contributors, which will bring serious adverse effects to platform ecology. RRCHAIN designed technically the original sandwich algorithm and carousel algorithm (set) to fight against the mining machine, ensuring that the entire ecological participants are equal and can operate fairly and orderly. This effective improvement will mean that RRHCAIN has more capabilities to achieve landing technically. Distributed computing implementation mechanism: through CSSP, we collect the computing power of massive unreliable computing nodes. When the CDSP obtains the task, it can decompose it into extremely small computing units through the RRMR system and distribute them to each computing node. After the computing node finish the task, it will submit the result to RRMR for redundancy check, and the top n% of the computing nodes that submitted the correct result will be rewarded. Proof of Contribution (POC) mechanism: all nodes that access the RRMR will implement two types of calculations: Hash and Task. For this purpose, we design a POC mechanism to solve the problem of measuring the contribution of a single computing node. In this POC mechanism, proportion of Hash and Task can be set in one single calculation task and the Hash can be randomly distributed throughout it. Computing nodes must complete all hash calculations and verify them with other nodes in the blockchain before they can measure the task contribution based on the time share of the two parts of the task, i.e., (Task calculation time / Hash calculation time) * Hash calculation return = Return of the entire calculation task. Anti-mining machine: the mining machine is currently the biggest obstacle to the various POW-based public chains. Especially for the ecosystem of RRCHAIN, the appearance of a mining machine may affect the income of hundreds of ordinary power contributors. Therefore, RRCHAIN has technically designed sandwich algorithms and carousel algorithms (sets) to combat mining machines. Sandwich algorithm: RRHASH can transform almost any algorithm on a CPU into a hash algorithm through a sandwich structure: First we use a standard hash function H to expand the nonce and seed to get a large number of random numbers input I, defined as I = H (nonce, seed). Then we use the algorithm A that the CPU excels at to process the random number input I to get some output O, defined as O=A(I). Then we use another hash function h to calculate the hash value of these outputs, resulting in h(O), and we judge whether the difficulty requirement is satisfied by counting the number of leading zeros. Sandwich structure of this kind has been proven effective by ZCash. What we only need to do is to modify the general birthday paradox issue in the middle part to other algorithms that the CPU is excelled at. Because there is a standard hash algorithm to confirm the result, h(A(H(nonce, seed))) which is difficult to collide, can satisfy the avalanche and irreversible characteristics of hash function, thus being a qualified hash function. Rotation algorithm set: even with a sandwich structure, any single algorithm can always be exploited by its own unique features to achieve significant optimization by customizing and tailoring the CPU. Therefore, only all the various CPU-adapted algorithms in the history of computer development have been introduced into the algorithm set as much as possible, and each person needs to use different algorithms according to each block. In this way, we can use the original CPU to mine tightly and honestly. Executive members of RRC team have more than 10 years of experience in average working in Internet. Liu Shuang, Founder & CEO, has 14 years of experience in the digital marketing industry in China. 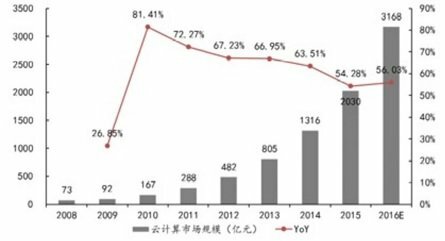 Has been responsible for displaying advertising products for Alibaba Group since 2008, and has established well-known advertising product systems in various industries such as diamond exhibition and TANX, bringing more than 10 billion yuan in annual revenue to Alibaba Group. After leaving Alibaba Group, he joined WPP Group, established the first company based on e-commerce and advertising in the 4A system, called KUVERA, and became the CEO. Wang Qiang, Chief engineer of the chain, served as a senior engineer for device-driven of Founder’s Electronic Graphics Division，and was responsible for multi-platform driver for Konica Minolta-related devices.. he chief architect of a blockchain project is responsible for the creation, development, and maintenance of the chain. Years of work experience in encryption algorithms and security systems. Wang Xin, Chief of Product and Marketing, has over 10 years of product design and marketing experience. Used to be the director of product and marketing of Intercom and Youyi Interactive, and now he is the general manager of Behe Adtech. Leading the design of China’s first programmatic marketing system. At the same time, the team also has more than 20 product technology experts from traditional Internet companies such as 360 and Sina. They are combined into a complex technical team with algorithm experts from Bitland. It is worth noting that the RRC project Consultant including Shen Bo (FBS capital), Yuan Wei (executive director of Shuimu Tsinghua TBC), Li Zongcheng (Co-founder of Timestamp Capital), Liu Junfeng(the founder of the Behe Adtech) and Dai Jun(Worked as senior engineer of Sina Weibo platform). Among them, Shen Bo had a good investment experience in the blockchain field; Li Zongcheng joined Babbitt as CFO in 2017; They all have rich industry resources in the blockchain field. Yuan Ye has many years of asset management experience in the secondary market; Liu Junfeng has 14 years of continuous entrepreneurial experience; Dai Jun specializes in digital marketing systems, they can provide effective professional support and resource support for the RRC project. RRC has obtained investment from more than three top investment institutions in the Blockchain industry, such as FBS capital and Horus Capital, and three traditional VCs such as Inno Angel Fund. We mainly judge the popularity through the official social channels of the project, such as the telegraph group and the number of WeChat groups, as well as the fans of Twitter and Facebook. The RRC project community is concentrated in Chinese, English and Korea. The official Chinese telegraph group is about 30,000 and the English telegraph group has more than 10,000. There are more than 3,000 official communities in the Chinese region, and the Korean community has also established an active community of more than a 1,000 people in a short period. The total number of RRTokens is 1.8 billion. It will release gradually, based on a total amount, each reward is based on the total amount minus an algorithm that has already been issued. 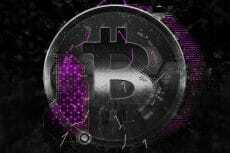 The difficulty adjustment algorithm uses BCH’s DAA algorithm. The DAA algorithm is designed to avoid sudden difficulty reductions and spikes. For example, when the RRC computing power changes exponentially, the network will quickly adjust the difficulty and also avoid feedback oscillations. Early in the project, users can mine in a variety of ways, such as browsers and clients, to quickly hold RRToken. Since then, By using RRTokens as leverage to create the consumption circulation environment, different scenes of consumption, such as video sites, news, e-commerce and etc. can be integrated into our economic system, thus facilitating people using RRTokens to consume. Finally, Once global distributed computing network is constructed by gathering residual computing power of personal terminals, those power can be used to perform commercial computing tasks, which brings new commercial value to RRC economic system. At the same time, RRChain also gave the proportion of the capital budget, and each module is equipped with more detailed rules and plans. RRChain token budget and use. 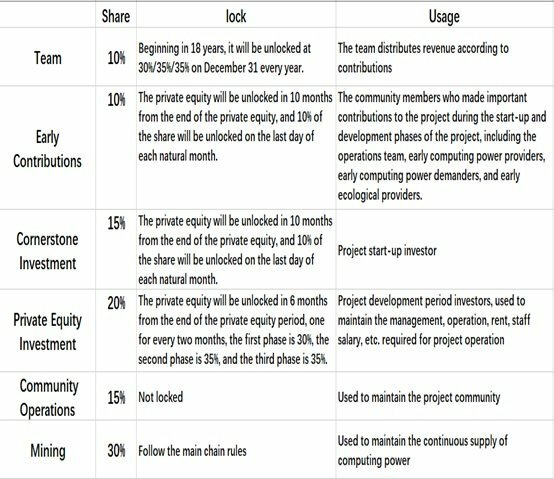 There are many ecosystem application scenarios built in RRC, 30% of the coins are used for mining rewards, and 15% of the coins are used for community operations. This is beneficial to mobilize the enthusiasm of community users to contribute，thus improving the efficiency of the entire system. Token has a deep circulation value. Referring to the white paper and the official website, the project side also gave the supervision system of the foundation structure. The financial budget and expenditures are supervised by the Foundation Finance Department and published monthly. Combined with the RRCHAIN organizational structure, it can be assessed as an internal regulation. In the project roadmap planning, RRC public chain has been developed currently, the public use of chain Beta1 has been released for use. 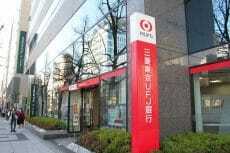 From August 2018 to the end of the year, various versions of the test will be carried out. During this period, the RRC will split the capabilities of the anti-mining machine and algorithm rotation into one version and send it to the market. In December 2018, the public chain plan will be officially launched, and the mapping of Ethereum to RRChain was completed. RRC’s main chain code library on Github is here. The RRC team announced the Github address on August 20. By reference, RRC updated weekly frequency of 1-2 times since June 28th. According to the code base quality assessment, RRC has a good code update frequency, and gradually upgrade in July and August, and has a certain proportion of new demand submissions, and the update quality is rated as excellent. According to statistics, the current support for RRC transactions is the Bit-Z exchange. According to the team roadmap, a topping exchange will be launched in August, but due to the current downturn in the market, online time may be delayed. 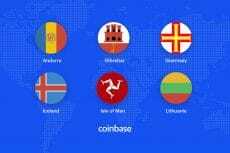 Although there are not many exchanges, according to the team, there are a lot of topping exchanges discussing the issue of the currency with it, so we rated it as medium . Regardless of the exchange rate with the US dollar or the exchange rate with the BTC, during the two months from June 26th to August 24th, the overall price of RRC is relatively stable, with a small fluctuation during the period, but the overall trend is consistent with the broader market and keep steady. In summary, we believe that RRC has certain value attributes, and the current market value is seriously underestimated. After the market recovers, it will have better performance and the overall valuation will rise rapidly. In the governance, the RRC project has a good design and stable operation; In the economy, the circulation of its tokens in the ecology is indispensable , and the Token mechanism is reasonable and serves the Token economy to create value; In the team, it is worthy of recognition, with rich blockchain development and software development experience and strong operational and compliance capabilities; In the Business Model, it also proposes a three-step concept, with reasonable route planning and practical assumptions; In technology, it effectively guarantees the fairness of RRCHAIN by using innovative POC mechanisms, sandwich algorithms and carousel algorithms (sets) to fight against mining machines; In the Community dimension, it has a popular, high-volume, high-quality community configuration at home and abroad, which provides sufficient community consensus support for the sustained development of the project. 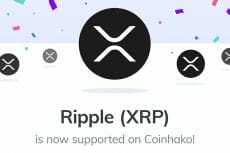 The above positive performances proves that RRC is a potential project and deserves our attentions. RRC has a large structure, and the entry point for constructing a decentralized global computing power trading platform is reasonable, and it has a certain industry resource base. The team has experience in blockchain projects and is steadily conducting in promotion and operation. Overall, the project performance is good, the code update frequency is stable, the project landing feasibility is high, and the token value support is relatively strong. Although the project is currently undervalued, the future prospect is expected. The shortcoming is that the white paper’s information disclosure of the token allocation and governance institution system is slightly insufficient, and if the project ecological construction needs to achieve the expected results, it needs to invest more at the operational and market levels. It is vital to do a good job of node layout in the future. In addition, there are already traditional giants such as Amazon and early projects such as Golem in the industry. Under the overall downturn of the market, the project needs to adhere to its uniqueness and make continuous landing planning under realistic pressure.